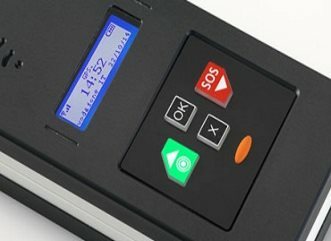 Datix NaNo G Safe Edition is a portable monitoring device able to increase the safety of workers engaged in solitary activities in potentially hazardous situations. 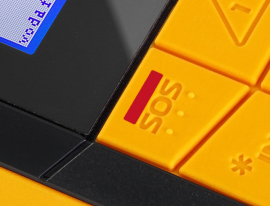 The device is able to raise Text and GPRS alarm signals in case of panic (SOS), fall detection and prolonged no movement. Datix NaNo G Safe Edition is available in GSM-only configuration (for indoor use) or GSM + GPS for outdoor tracking. Datix NaNo G Safe Edition also integrates the RFID technology which allows, without any electrical dedicated installation, to manage the indoor localization using the manual reading of RFID tags placed in sensitive areas. The alarm will include the last tag read in order to speed up the search of the worker. Even athletes can benefit from the aid of Datix NaNo G Safe Edition. In particular, all those engaged in individual activities that require moving on the ground and then the search of the person in case of alarm (e.g., hikers, bikers, climbers).